Waterford re-imagined and designed with sophisticated elegance for the ultimate luxury living. This home is a timeless work of art; a labor of love in every detail. Over 4,700 SQFT, 4BD/4.5BA, includes a detached 2BD/2BA guest house. 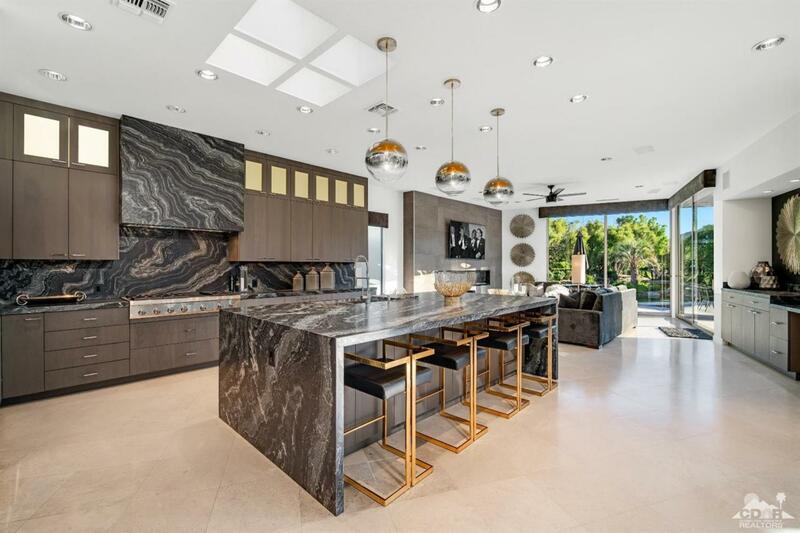 Every inch of this home was carefully executed with a stunning color palette, custom cabinets throughout, exceptional finishes in the kitchen, master bath/bathrooms/powder room, carpets etc. Re-designed pool, patio and BBQ area for entertainment with views of the serine lake and mountains. Centrally located in Rancho Mirage and allows for convenient Lifestyle + Shopping + Entertainment. This property is being offered designer furnished throughout.